Just love this piece, colors, eyes, mood, everything! Madalena I love your painting style it is very pleasing and expressive all of your women are wonderful. This painting is beautiful!! Very captivating. this is so beautiful! You are truly an artist! Beautiful expression through the composition, color contract, textures, with feelings, bravo!!! Another vote for one of your classic works! 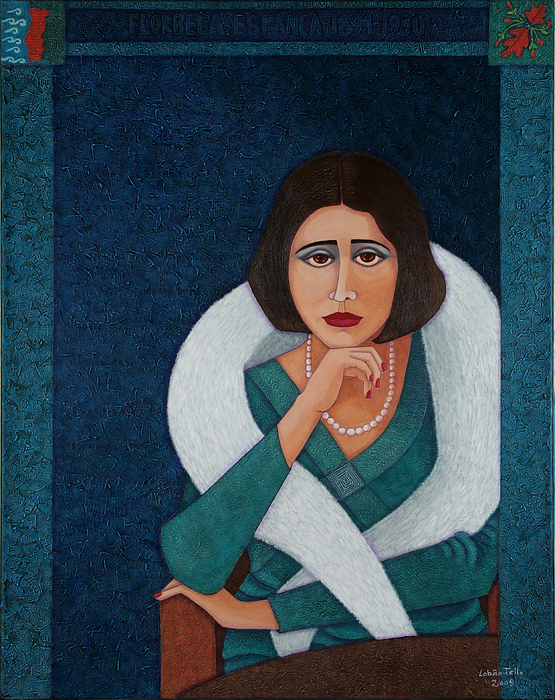 Madalena, I love your women portraits. THey are so interesting! Your style is so distinct! I don't know these woman you paint, but I like how they look! I favorite and vote and google plus them... I love your style of painting.. the textures are so fine and have so much beauty and interest! I love all your colors of teal, and forest green, and that of the deep dark forest...simply beautiful! Intriguing expression, Mada! Just love your work, and enjoy view them whenever I can, bravo!! Happy Holidays, my friend:)!! 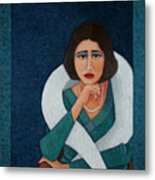 This painting belongs to the serie "Mujeres del pais de Abril" and is my homage to Florbela Espanca Florbela Espanca (Portugal 1894 -1930). is one of the greatest Portuguese poets. 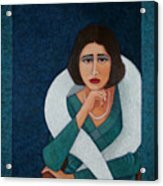 Forerunner of the feminist movement in Portugal, she had a tumultuous life, restless, transforming their suffering in intimate poetry of the highest quality, full of eroticism and femininity. Florbela was different than Portuguese women of his time in tastes, studies, work, behavior and relationships with men throughout his life. Florbela was aware of this difference, and she felt proud and therefore superior.